The 3 Pack Trunks from Bjorn Borg features front stretch pouch and elasticised waistband in contrasting colour. These skin-fit trunks also feature Signature branding to its waistband. 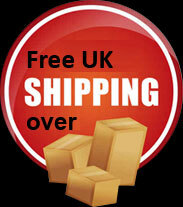 CURRENTLY FREE UK DELIVERY WHEN YOU SPEND OVER £25. Orders are processed asap but please do allow 1-2 working days after payment for orders to be posted. PLEASE NOTE: WE NOW POST INTERNATIONALLY BUT PLEASE CONTACT US FOR POSTAL PRICES FOR POSTING OUTSIDE THE UK, THANKYOU. If you are not completely satisfied with your purchase, simply return the item(s) to us in their original condition within 10 days of receipt and we will issue a full refund (excluding all delivery costs/charges) on receipt. For hygiene reasons, ALL UNDERWEAR AND SWIMWEAR IS NON RETURNABLE, EVEN IF UNTRIED. Please make sure when returning that the goods are in their original condition as return of unwanted goods is under the condition that the goods have their original labels/seals and packaging intact (i.e. in a resaleable condition) and are completely unworn and unwashed otherwise they will not be accepted. We do not pay return shipping costs, and advise buyers to send any returns via tracked and insured mail just in case of goods lost in transit. The original paperwork must be included in the return parcel otherwise we will not be able to process the return. If an exchange is required, please purchase the required item for our website as this is much quicker to process and we will refund the returned item as per instructions above.